Wisent provides an easily configurable replacement for the default buff (and debuff) frames. It displays buffs, debuffs, spell procs, and class-specific resources, allowing you to align, order, scale, and reposition them in groups. While there are more extensive buff tracking addons out there, this one is intended to be a simpler alternative, striving to stay close to Blizzard's original design while still providing more customizability and a functional configuration interface. All of the main features can be disabled/toggled via slash commands and the graphical interface, allowing you to change the way in which groups and icons are displayed. All buff buttons can be styled on a per-group basis using the Masque addon library. Monk: Elusive Brawler, Hit Combo, Blackout Kick! Warrior: Tactician/Colossus Smash, Enrage, Wrecking Ball, Odyn's Champion, Massacre, Dragon Scales, Scales of Earth, Revenge! Feel free to let me know if a spell that you wish to track is missing. Since I'm not an expert on all classes, it is likely I overlooked a buff or two that'd be worth tracking! These are not intended to be a replacement for advanced aura icons such as those provided by WeakAuras or TellMeWhen, but for when a simpler alternative is sufficient. They don't require any setting up and still allow for some customization. Any functionality provided is also accessible via the addon's GUI. While I try to monitor the comments on this page, I don't always get notified of them. Therefore, I kindly ask you to use the Issue Tracker on the Project Site when appropriate (You can use the same Curse account you use to comment here for that). Alternatively, you can follow the addon's development on GitHub, where a list of Known Issues is available. The Project Timeline allows you to see what is currently being worked on and when you can expect any given change to be implemented. A proper localisation system is implemented, but many locales aren't fully translated (yet). If you can help out, it will be appreciated! 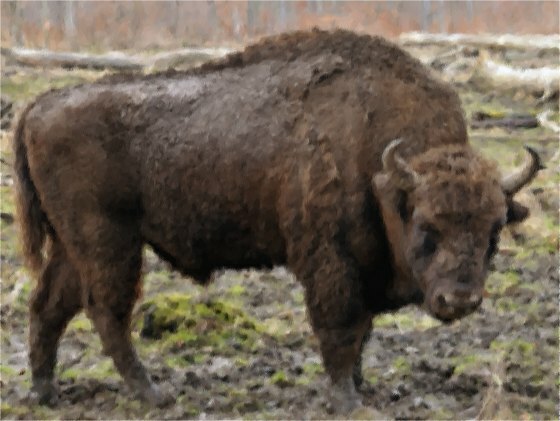 Wisent is based on the Cataclysm-era addon Bison by Grayal, which in turn was based on an addon called Buffalo by Nimbal (Buffalo... get it? Heh). Both addons have long been abandoned, and since I maintained a somewhat-working copy for personal use, I figured I'd simply see where it goes from there. In no way do I wish to take credit for their work. I dont see buffbars before I use some spell example powerword:shield. Also I have to activate "Show Blizzard buff bars" on "Wisent configuration" tab to be able to see bars. That feature keep turning itself off everytime I change area or teleport somewhere or just log on and off. It is annoying to constantly search it and turn on. Ofc it could be that am using this addon wrong. Also I cant copy existing profile to my alts but have to do the work all over again. Was this caused by the BFA pre-patch? I haven't had much time to make sure all the internals are updated so I merely fixed the obvious errors. If it's a general issue, then I'd have to look into it some more. You'd normally disable Blizzard's buff bar in order to replace it with the one provided by Wisent. If another addon interferes with this (e.g., by showing/hiding Blizzard bars) then this can also cause problems like those you describe. It might be that Z-perl unitframes was messing up with Wisent buffbars. After an update "hide default buffs" were turned on in z-perl and there fore ´caused this to happen. Keep up the good work with this addon. There was an issue with Curse packaging a different version of a library that the addon uses, causing it to break and not load correctly. This should be rectified in r7. Why I can't use this addon? I slashed commands but nothing shows up. I really have this addon on my Addon folder. I can see on ACP(addon control panel) but not on interface set-up. WHY.. T.T? That error should be fixed in the updated beta version released after the patch. Otherwise, please report back with the version you were using. procs bar does not show anything. I finally got around to fixing it - sorry for the delay! I'm not sure if all relevant procs are already added, but I hope I got most of them with this update. Really nice addon. Sometimes the Blizzard default UI doesn't show all buff, but that addon fix it.